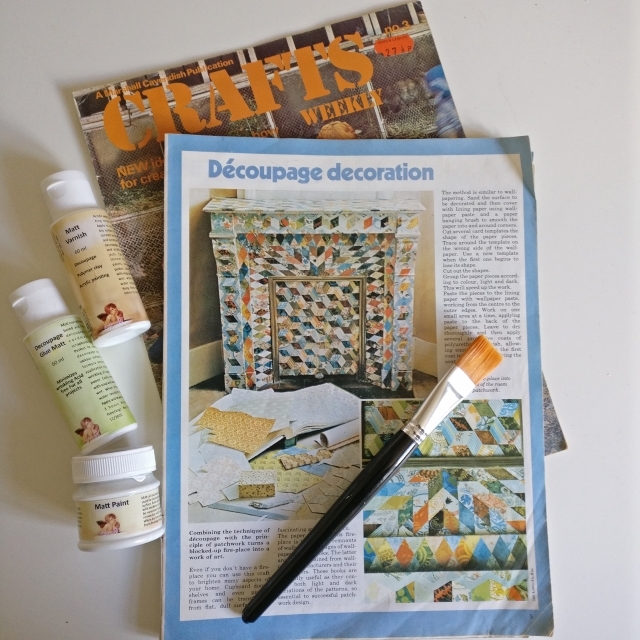 I was recently sent a découpage kit by Smile Arty to try. 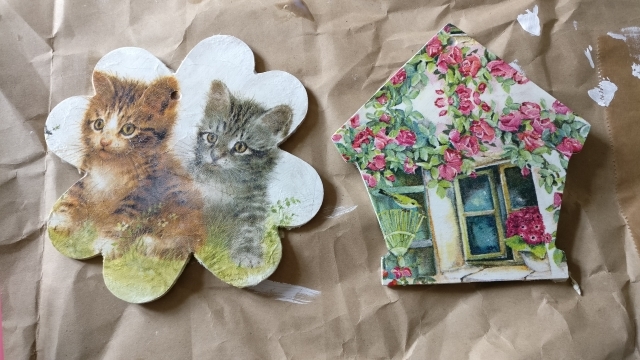 I'd never tried découpage before, though I had a vague idea that it entailed gluing bits of paper to furniture, from poring over my mum's 'Crafts Weekly' magazines as a child. I always really liked the look of it, but hadn't got a clue where to begin even finding the supplies to attempt it, so I was thrilled to get a set of instructions and everything I needed to give it a go from the Bulgarian mother-daughter team behind Smile Arty. I got a chance to try it the other day and I actually found it to be a really relaxing craft to do. It wasn't as tricky as I imagined it to be either. Lile was home sick the day I attempted it and managed to do a pretty good job of making a piece too. Have a look at the video below to see how we got on! The fact that you have to do everything in stages makes it a great craft for a busy parent. You can do it bit by bit over the course of a day and you'll end up with something lovely. Each stage of the process is simple and quick so it's easy to fit in in those few minute gaps between making dinner, supervising homework and the other ten-million things you do in a day. Of course, after one attempt, I now have notions of tackling the old bent-wood chair in my office or maybe the Ikea footstool.... but I could probably do with a little more practice first! 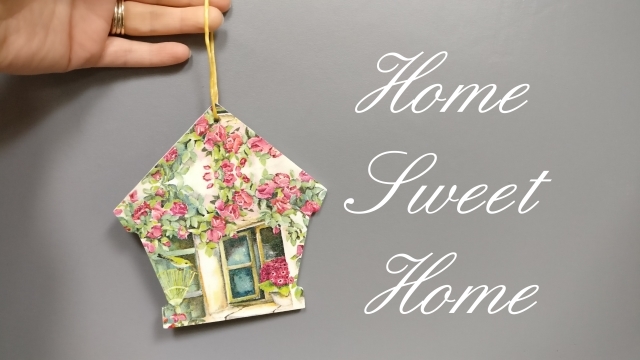 If you would like to try découpage, you can find everything you need - including details of their workshops in Dublin - on www.smilearty.ie. Iliyana will tell you all you need to know! Disclosure: I received a set of découpage equipment from Smile Arty for the purposes of review. All opinions are my own/Lile's and we were not paid to give them. Thanks Smile Arty!